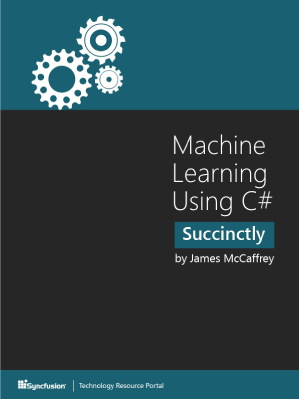 In Machine Learning Using C# Succinctly, you'll learn several different approaches to applying machine learning to data analysis and prediction problems. Author James McCaffrey demonstrates different clustering and classification techniques, and explains the many decisions that must be made during development that determine how effective these techniques can be. McCaffrey provides thorough examples of applying k-means clustering to group strictly numerical data, calculating category utility to cluster both qualitative and quantitative information, and even using neural network classification to predict the output of previously unseen data. Artificial Intelligence (AI), Logic Programming, etc.